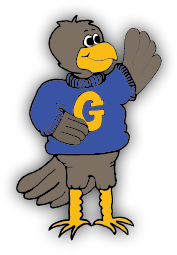 If you are returning students to Goshen and have completed all your online registration (you should have received an email letting you know you successfully registered) you do NOT need to come in to register your student(s) tomorrow. If you are new to Goshen, you will need to come in to the school to provide proof of residency, birth certificates, and immunizations, and receive your student ID# (which you need to register as an existing student). If you are a returning student with medical concerns and/or legal custody has changed, you will need to bring that information to the school tomorrow. Our PTA will also be there tomorrow. As always, if you have questions, need your student ID#'s or you need help completing your online registration please feel free to call the school (801) 667-3361.